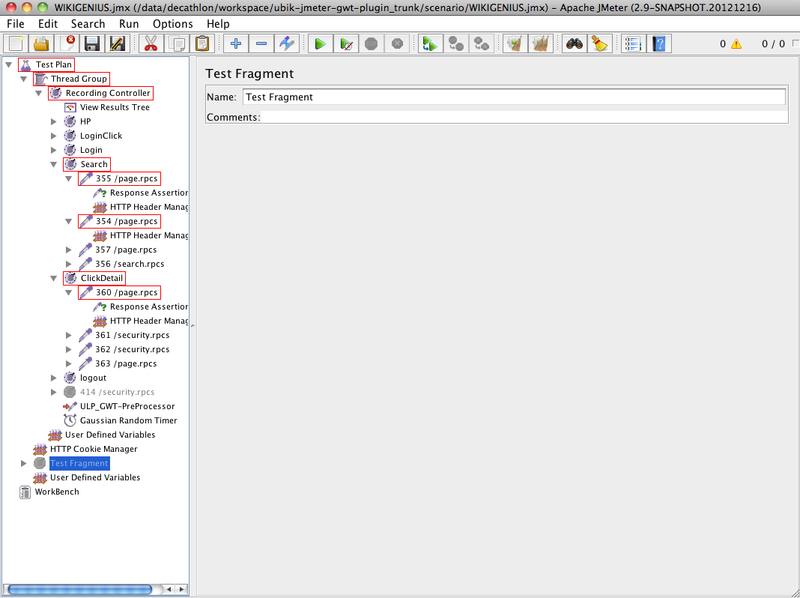 JMeter GUI has been improved in many ways in the last four versions and work continues as of upcoming 2.9 version. Enhancements have been made to make its ergonomy better and increase user productivity and pleasure. 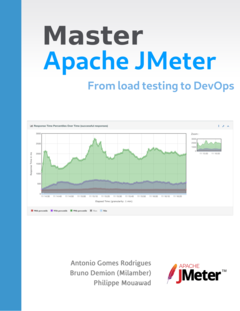 With Apache JMeter 2.6 came a new Toolbar that speeds up access to most useful commands used in JMeter and made its look And Feel a bit more up to date. This feature is particularly useful during script debugging. Indeed once you have put timers in your script that can last from 5 to 60 seconds or more, debugging the script can take you a lot of time if you have to wait for the 10th sampler to fix or validate its regexp. 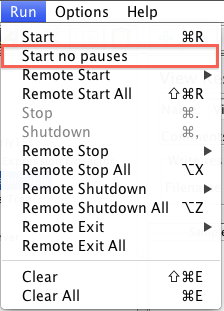 This feature runs the script ignoring all Timers pauses. It is also very useful during Test Data validation, you can then launch a reduced number of threads and validate test data much faster than you used to do it before. Notice Login Sampler starts 15s after HP sampler has ended. Notice Login Sampler starts immediately after HP sampler has ended. Thank’s to this feature, you’ve spared 15 seconds of scripting time. Multiply this with the number of times you run a Test during debug phase and you see how much time you can gain. Version 2.6 came with another precious feature which enables searching for full text or regexp inside your script. 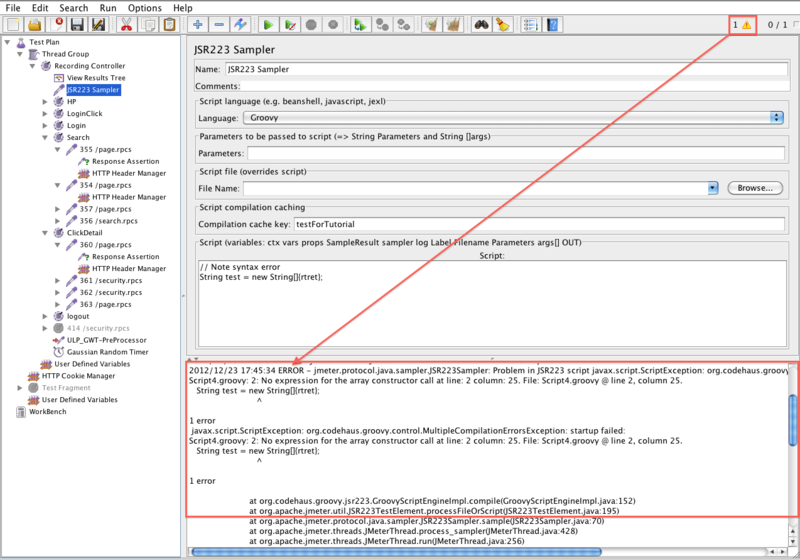 Although it was always possible to search for a text by opening the JMX file in an editor, doing that from JMeter GUI make it more useful as you can modify the search results. With version 2.9, this feature has been improved to unfold tree nodes that match the search and increase search scope as feature now searches in all Test elements properties. 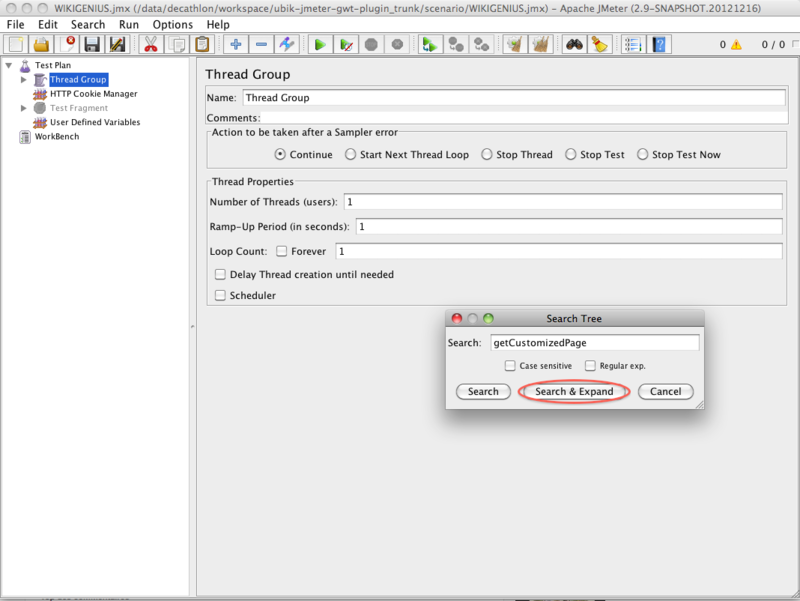 Notice how JMeter 2.9 automatically expands the tree to nodes to better show results. This panel receives all log events once unfolded. 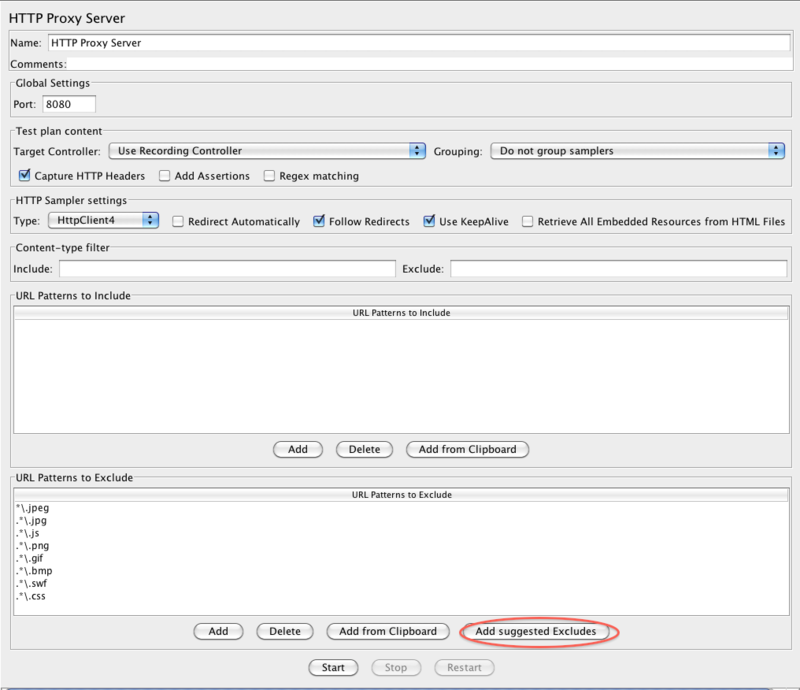 This enables viewing logs from within JMeter GUI. No need to open an external file anymore. 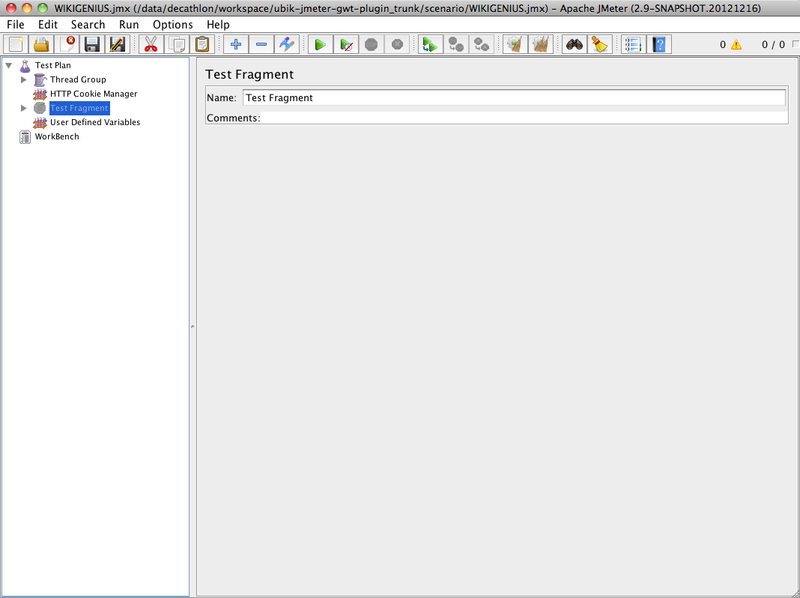 Look at top right part of JMeter GUI, you will see a warning icon with a number on its right. This number is updated with log errors. Clicking on it unfolds the panel but you need to replay your script to see events. 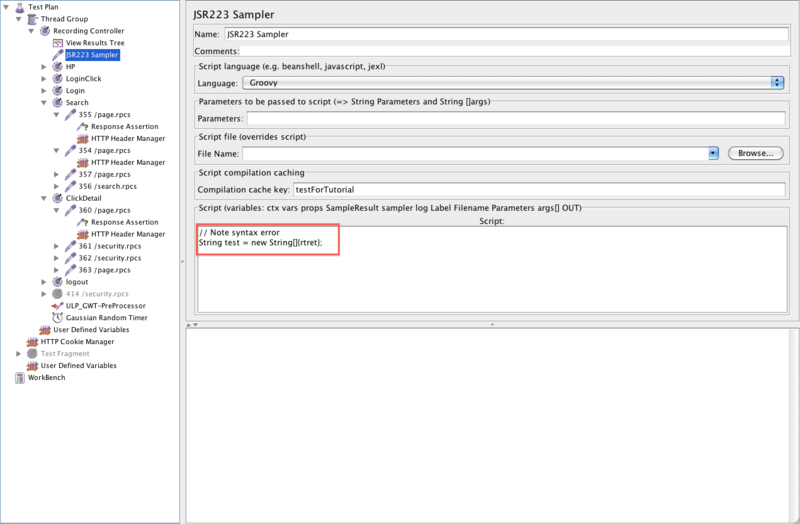 With 2.9 version, you will be able to copy paste elements between two running instances of JMeters. URL Patterns to exclude will have a new button to add in one click a list of common file patterns that are excluded from recording.